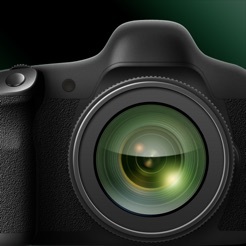 EOS Remote is a free application for convenient remote shooting, image browsing, and other operations on Canon EOS digital cameras with Wi-Fi functionality. As you view live images from the camera in EOS Remote, you can remotely set the focus, adjust shooting values, and release the shutter. 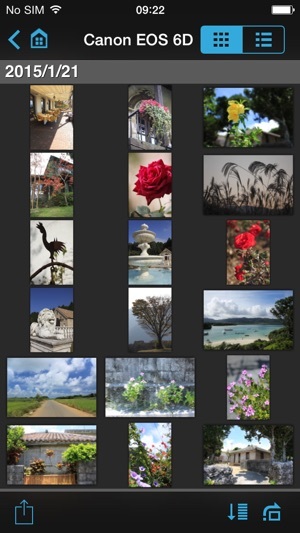 You can also browse images on the camera's memory card, select images, and save them to your device. Take EOS Remote along with your camera to enjoy photography in more ways. -Access Wi-Fi–equipped EOS cameras wirelessly over a local network connection. -Remotely adjust shooting values on EOS cameras: Av, Tv, ISO, and exposure values. 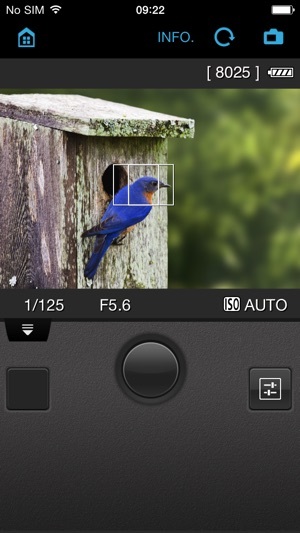 -Remotely select AF point positions, adjust focus, and release the shutter. 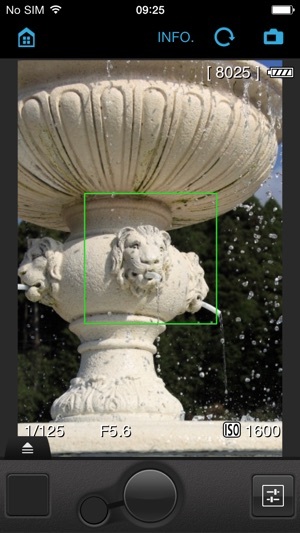 -Remotely browse, delete, and rate still images and movies shot with EOS cameras. -Save images shot with EOS cameras to your device. 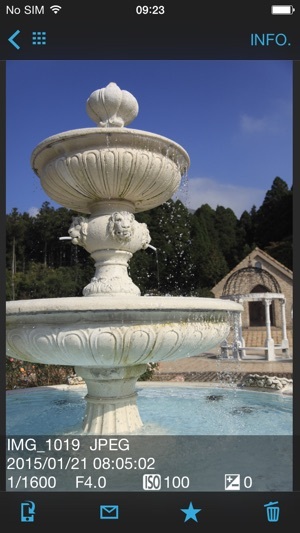 -Share images for which device-specific remote viewing restrictions have been configured on EOS cameras. -Establish a direct connection with EOS cameras in Camera access point mode, in addition to Infrastructure mode connections. 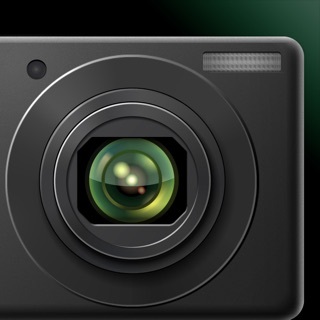 -Support for new camera model EOS M3. -Support for saving original-size JPEG images. -Improved camera setting function for remote shooting. - MOV files shot with compatible cameras cannot be saved to your device. - Compatible cameras cannot be accessed from multiple devices at once. - Remote capture of movies is not supported. 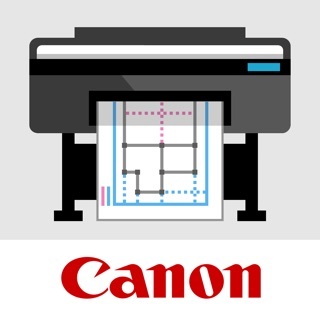 Canon has released a new application "Camera Connect" to replace EOS Remote. Please use "Camera Connect" to connect your Canon digital camera to smartphones and tablets. No wireless live view for video? Why Canon decided it was a good idea to release this app without video capabilities is beyond me. Is it so hard to add a USB connexion? Do you know camera connect doesn’t work with 70D?! You force me to use camera connect, but the app doesn’t work with my 70D. What do you mean by that? Have to buy a new camera?! © Copyright CANON INC. 2015 All Rights Reserved.